Please note that this current website does not have a shopping cart. 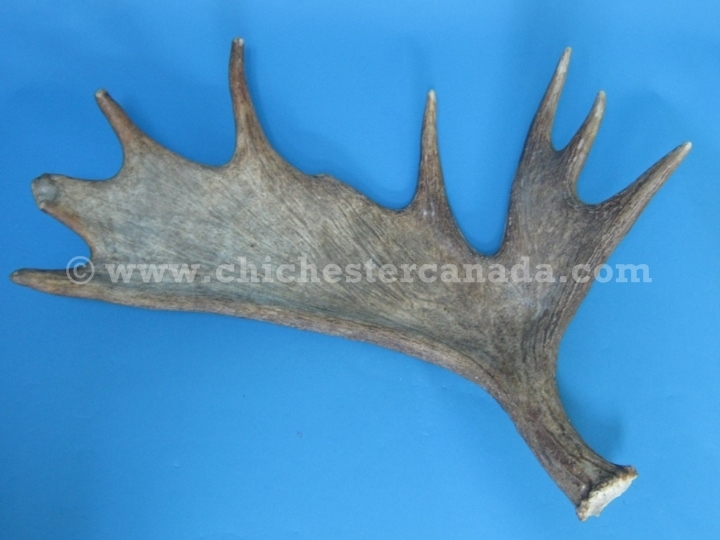 To buy our Whole Moose Antlers online, please go to our e-commerce website at NaturalExotics.ca. 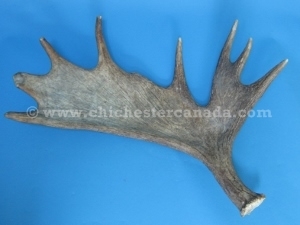 These are fresh, hard brown moose antler drops sold by the piece and priced by the pound. Small pieces weigh 1 to 4 pounds, medium ones weigh 5 to 7 pounds, and large ones weigh 8 to 12 pounds. They are measured by the length and width of the palm, the circumference of the shank and the length and/or width of the button. 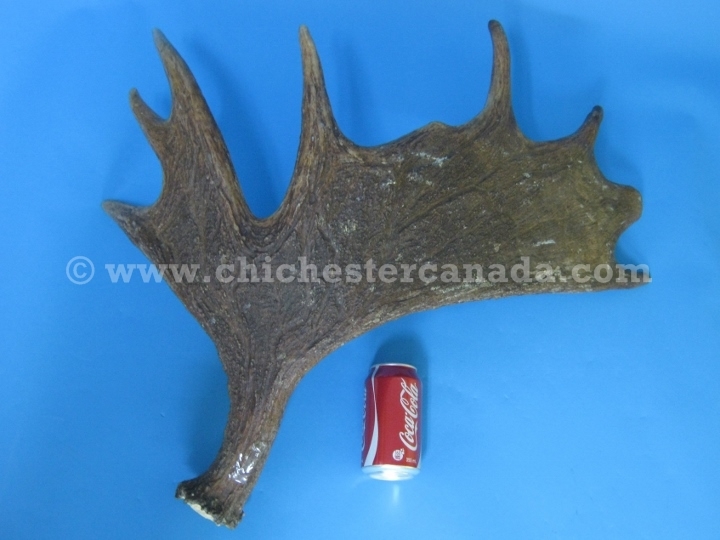 All of our #1 moose antlers are natural drops picked up in the forests of Quebec. The moose were not killed to harvest the antler. Genus and species: Alces alces. Wild. These are not for export.